Whilst Barcelona dominates Catalonia, in terms of size, reputation and touristic appeal; the autonomous community has plenty more to offer: case in point, Girona – the stunning Roman-era city laying on the confluence of the rivers, Tey, Onyar, Galligants and Guell. The historic city proudly showcases the evidence of its varied past, with an incredible range of different architecture dotting the waterways and cobbled streets. 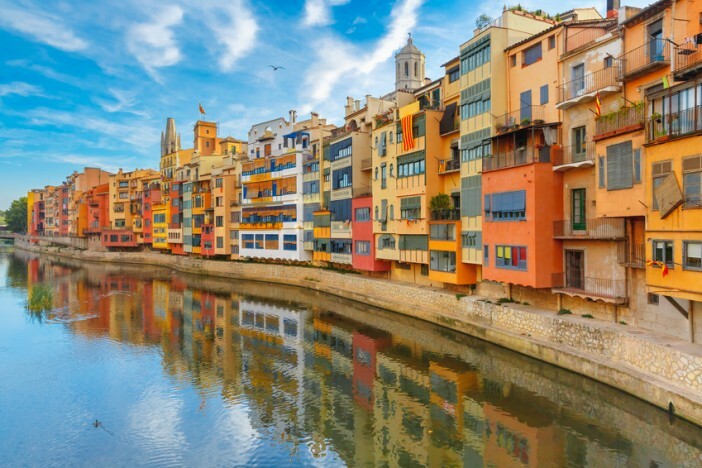 If you’ve got a few days before, during or following a cruise holiday to spend in Barcelona, Girona is little more than an hour’s drive away – providing a wonderful day out, chock full with wonderful sights and authentic Catalan culture. One of the city’s main attractions is the Jewish ghetto, regarded as one of the best preserved in the world. The Jewish community really flourished in 12th century Girona, with the Grand Rabbi of Catalonia residing in the city. But this community was expelled from the city in the late 15th century by the Catholic Monarchs, a sad footnote in the Girona’s proud history. Today, many visitors come from all around the world to pay homage to the Jewish community, visiting the ghetto and the Catalan Jewish Museum. 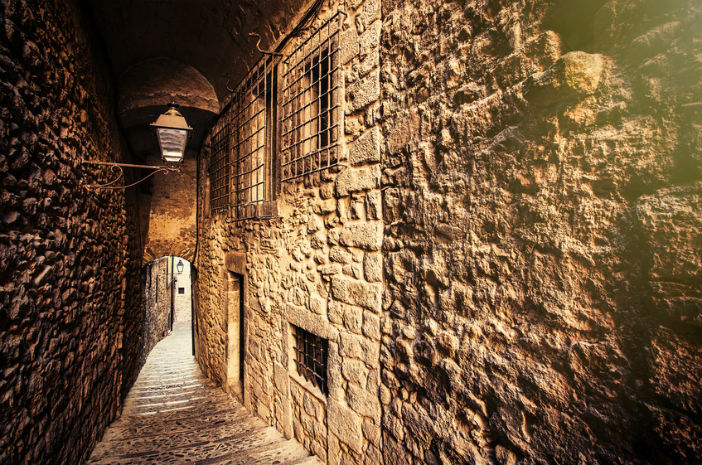 Little slices of history are all around when you’re visiting Girona, from the city’s historic fortifications to the major religious sites. A host of cultures, religions and nationalities are all represented in ornate beauty as you venture through the beautiful old streets and avenues. 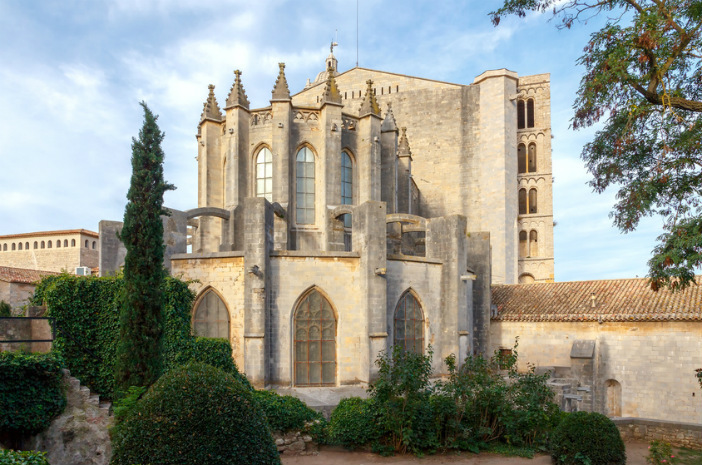 The city’s ancient cathedral designed by Majorcan architect, Jaume Fabre, is an important example of Catalan Gothic architecture. The site of the cathedral had been used as a Mosque by invading Moors, but the current church can trace its history back to the 11th century. With 86 steps leading the main entrance, and the widest Gothic nave in the world; Girona Cathedral is a truly impressive spectacle for first-time visitors. Another hugely popular tourist attraction in the city, the fortified walls of Girona date back to the 1st century, when the Roman armies sought to protect the settlement from invaders. Standing strong for hundreds of years, and helping prevent countless attacks; Girona’s fortified walls only lost military value in the 16th century as they were absorbed into the city. The walls have been largely restored, and it is possible to walk the entire length of the structure, and even climb the towers. The fortifications made the city an obvious choice for Game of Thrones set designers when looking for a backdrop to the current season. The beautiful city provides the setting for Oldtown, introduced in season six – where Samwell Tarly will learn the secrets of the citadel and train to become a maester. Parts of the city have also been used to provide the backdrop for scenes in King’s Landing and Braavos. 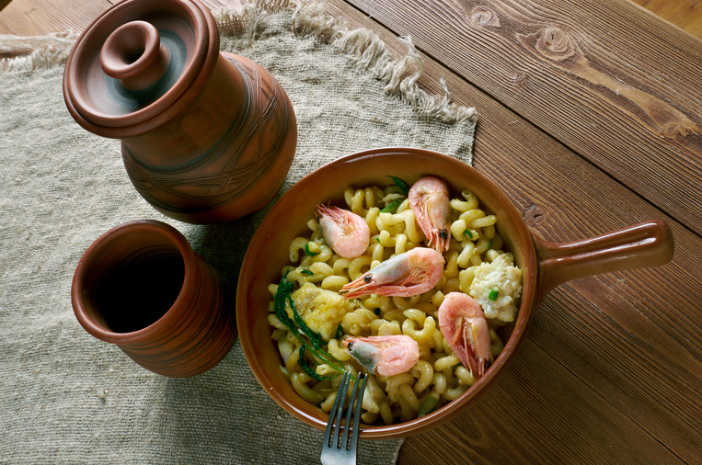 Proudly serving up Catalan dishes, Girona is a haven for foodies keen to taste the local flavours whilst avoiding the tourist traps of Barcelona. Hearty Catalan classics and a strong tapas culture are par for the course for Girona, with the warm Spanish sun providing the perfect setting for a glass of the local red and a few light dishes. Then, of course, there is El Celler de Can Roca, helping Girona step out of the shadow of Barcelona, and recently voted the world’s best restaurant. Operated by the three Roca brothers (Joan the head chef, Jordi the pastry chef, and Josep the sommelier), El Celler de Can Roca is a tour de force of multi-sensory dining. The food is artisanal, technical and avant-garde, but still traditional enough to warm the taste buds. And if you can’t get into El Celler de Can Roca (which can prove a challenge for even the most well-connected), their parents’ restaurant Can Roca (where the brothers learned their trade) is just up the road and delivers simple, hearty and delicious Catalan dishes. If you’re interested in paying homage to Girona, and wider Catalonia, visit our dedicated cruises to Spain page. Alternatively, for a full range of Cruise1st deals call our friendly sales team on 0808 274 6777.